Phil Cunningham and Aly Bain in concert with Ross Ainslie and Jarlath Henderson Photographs. Photographs from the Spiegeltent in County Square, part of The Spree Festival in Paisley. In 1988, two members from two of Scotland’s leading bands, “The Boys of The Lough” and “Silly Wizard”, came together to work on a television series. You could say ‘the rest is history’. Ross & Jarlath fortuitously formed at Celtic Connections 2012, following a double bill of the two frontline pipers’ trio line-ups, the pair have fast become one of the most enigmatic duo’s to emerge from Scotland, these young musicians are not only vastly talented but have created a sound that is bursting with energy. Scooter Rally Video and Photographs Paisley. Video of the Scooter Rally through Paisley as part of the #Modstuff Festival organised by LNP Promotions. This would be a fantastic event to have each year in town, well done to the organisers. Photographs of Scooter Rally Paisley. Up to 85 Scooters had a ride-out in Paisley today as part of the LNP Promotions Festival called MODSTUFF which was launched last night in the Bungalow Bar, Paisley. The Festival is billed as an alternative fringe event to the Royal National Mod which is also happening in Paisley right now. Royal National Mòd Torchlight Parade Paisley Video. Video of the Royal National Mòd Torchlight Parade from Paisley Museum right down the High Street ending at Paisley Abbey, the crowds turned out in their hundreds if not thousands and Paisley was buzzing to the Pipe Band and visually impressive with the school kids and their torchlights, video taken by Brian McGuire. Another Video for www.paisley.org.uk showing the end of the parade when the Junior Choir sang. Royal National Mòd Torchlight Parade Photographs. What a fantastic response from the people of Paisley who turned out in their hundreds if not thousands to see the Royal National Mòd Torchlight Parade go from Paisley Museum and march to Paisley Abbey. From their homeland roots of Argyll, Capercaillie have been credited with being the major force in bringing traditional Celtic music to the world stage. With some of the finest musicians on the scene: Manus Lunny; Charlie McKerron; Donald Shaw; Ewen Vernal; Michael McGoldrick; David Robertson; Che Beresford and the exquisite voice of Karen Matheson, their innovative approach to traditional sources and influences and the excitement they create through live performance explains the widespread esteem in which they are held in the current explosive folk scene. Paisley is getting ready to welcome thousands of visitors as the town gets set for a unique festival fortnight double. The Royal National Mòd is coming to Paisley for the first time in its one hundred years-plus history. Paisley will host the world-famous celebration of Gaelic language and culture from 11-19 October. Running alongside the Mòd, from 10-20 October, The Spree, Scotland’s national arts festival, returns to venues across Paisley. This year’s event includes a unique collaboration between Admiral Fallow, The Twilight Sad and the RSNO, plus live music from Edwyn Collins, Capercaille, and Donnie Munro, and comedy from Fred MacAulay and Craig Hill. With more than 70 Spree and Mòd fringe events taking place over ten days, in addition to the Mòd itself, the town will have a festival feel, with a full kids’ programme, as well as workshops in everything from drama to Gaelic language and fiddle playing. Council chiefs in Renfrewshire believe the combination of both events will deliver a significant boost to the ongoing regeneration of Paisley town centre. Renfrewshire Council Leader Mark Macmillan said: “It is an honour for Paisley to welcome the Mòd and the thousands of visitors and competitors who make it such a special event for the host town. “I am sure that the welcome from the people of Paisley, and the town’s rich cultural, historical and architectural traditions will provide an appropriate setting. “There’s something extra special this year for our visitors and our own community with the Mòd running in parallel with The Spree. That combination offers a unique chance for people to try different performances and activities that they might not have done before. There’s something for everyone to appreciate, enjoy or take part in personally. “The unique combination of Scotland’s oldest and newest cultural festivals will also support the continuing regeneration of Paisley town centre. “As part of the council’s regeneration programme for Paisley town centre, we have significantly expanded our events programme. 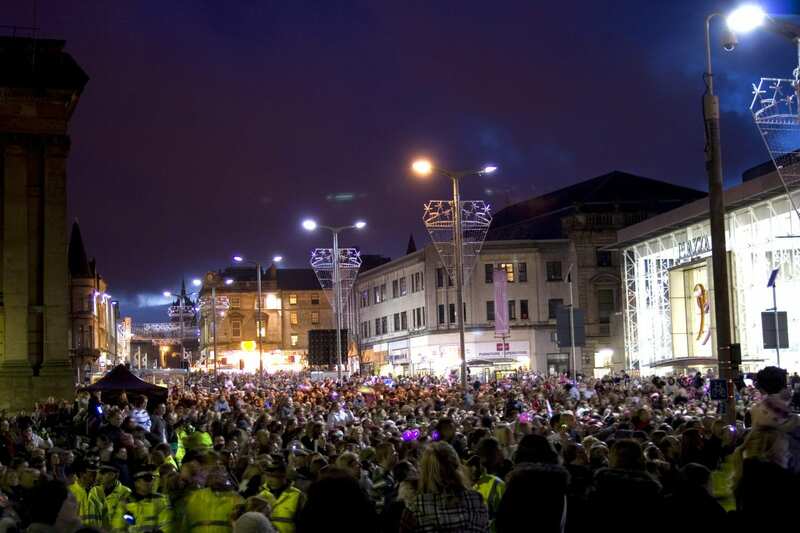 Paisley’s Fireworks Display, and Christmas Lights Switch-On attract crowds approaching 40,000 people into the town centre. “We’re seeing people coming back to live in the centre of Paisley. There are recently-agreed proposals for retail and residential development to revive the iconic former Arnotts store. Ealasaid MacDonald, Convener of Mòd Phàislig said: “We are very excited about the arrival of the Royal National Mòd in Paisley. “There’s a special celebration to start the proceedings with a torchlight parade through the centre of Paisley starting at 7pm on Friday (October 11) from the top of the High Street and culminating at Paisley Town hall where the Mòd flag will be unfurled. “Organisations, businesses and members of the public in Paisley have showed tremendous support to the local organising committee as we have been preparing to host The Mòd. John MacLeod, President of An Comunn Gàidhealach, said: “The opening of The Royal National Mòd, Gaeldom’s biggest national festival celebrating Gaelic language and culture is almost here, and we are delighted that the town of Paisley is hosting this special event. Photographs taken by Digitalpict Photography in partnership with Paisley on the web. Photographs of, Ealasaid MacDonald, Convener of Mòd Phàislig Emma Creighton, 11, Councillor Jim Harte, Renfrewshire Council’s Culture Spokesperson, Sarah England, 10, and Renfrewshire Council Leader Mark Macmillan are pictured outside the Spiegeltent in the centre of Paisley as the town prepares for a unique festivals fortnight with The Royal National Mòd and The Spree, Scotland’s national arts festival. Its all happening in Paisley. Paisley is gearing up for a busy October and November of events, there is quite literally something for everyone in the forthcoming months everything from a scooter rally right through to the Festive Lights Switch On in the town centre. Only a few years ago the fireworks display was the only thing happening remotely close (at Seedhill Playing Fields), and the town centre had not yet seen any big events happening in or around it. St Mirren going through Paisley in the open top bus in 1987 from the triumphant Scottish Cup win saw the town covered in ‘Black and White’, and then again in 2006 when the Buddies won the First Division to be promoted to the SPL, those were momentous occasions. The arrival of the big centrepiece Fireworks event and Festive Lights Switch On a few years back changed things and in my opinion these may just have been defining moments for the fortunes of Paisley. Thousands of people love to come to these events showing that the town centre can cope with these large scale occasions. It has proved to be a safe environment although there is still a lot more to be done with toilet amenities and food shops and local traders combining their efforts to make the best of these events. Paisley is turning a corner, maybe we can’t see it yet but there is change coming. Local traders are now combining their efforts, resulting in a process called the Business Improvement District (BID) to be known as Paisley First which officially launched last week. This is the first time many local traders and business owners have actually sat in the same room, now that is no mean feat in itself! There is progress although it may be slow but at least there are signs of promise. The Farmers Market has now moved to the Cenotaph and is much more central and visible to the public and the change in timings has also helped, so the market will go from strength to strength. The next one is tomorrow, Thursday 10th, 10am-2pm. Royal National Mòd, It is a fantastic honour for this prestigious Gaelic event to be held in Paisley for the first time. The very fact its coming to Paisley shows just how far the town has come, and showcasing such events as the Paisley Choral Festival, which has been running in the town for six years, it brings a string of high profile classical musicians to Paisley, helping the town earn the unofficial title of Scotland’s Festival Town. Renfrewshire Scottish Mental Health Arts & Film Festival 2013, is currently ongoing with various events throughout Paisley and Renfrewshire, some highlights over the next couple of days are..
1. Wed and Thurs Workshops and Artist in Residence with weaver Joanne Kaar, 32 Old Sneddon St, at the bottom of stairs to Gilmour St Station. Go by and say hello and have a look! 3. World Mental Health Day Book Club and Event 12.30-1.30 10 Oct Spiegletent, County Square, Paisley with author and RMHAFF 2013 song, ‘Your Perception, My Reality’ come and get your free cd! 5. Angus Weaver of Grass dramatic performance Thurs 17th 9.30am, Paisley Arts Centre, only free performance, please help me fill the house. See more by clicking here..
We of course have the Festive Lights Switch On and the Fireworks to look forward to. This year’s Festive Lights Switch On ceremony will be performed by Tynchy Stryder and The View, to find out more information on this event click here..
Don’t miss Paisley’s fabulous Fireworks Spectacular! We have entertainment through the day in Paisley town centre before the fireworks finale. The day kicks off at noon, with street entertainment including stilt walkers, balloon modellers and face painters, plus puppet shows in Paisley Town Hall. The Clyde 1 roadshow will provide entertainment all afternoon on the stage in Gauze Street, with live performances from boyband Rewind and kids’ favourites the Singing Kettle. The big event will take place at 6pm, when the skies above Paisley will explode with colour during the fireworks display. In celebration of the 2014 Commonwealth Games, this year’s display will be focused around great sporting music, from the movies to the big sporting events themselves – everything from Chariots of Fire to Rocky! The event has been increasingly popular in previous years so we advise visitors to get here early, enjoy the sideshows, and get the best view of the fireworks. Remember, parking is free in all council-metered bays every weekend. There will also be additional free parking at West College Scotland, Paisley Grammar School, Wallneuk Road and Castlehead High School. Please note there will be extensive road closures in the area around Gauze Street in the town centre, starting from Saturday morning. Photographs are taken by various photographers for www.paisley.org.uk including, Alex Kyle, Anchor Mill Studios, Ian McDonald, Tracey Clements and Brian McGuire. A council scheme to introduce young people to the world of work is one of a string of local individuals and organisations to be nominated for prestigious national honours. The shortlist for Scotland’s Modern Apprenticeship Awards 2013 sees Renfrewshire Council listed as a finalist in the Public Sector Employer category, in recognition of the council’s highly-regarded modern apprenticeship scheme. Renfrewshire Council employee Angela Wilson is a finalist in the Apprentice Champion category, for former apprentices who have continued to make exceptional achievements and promote the scheme. 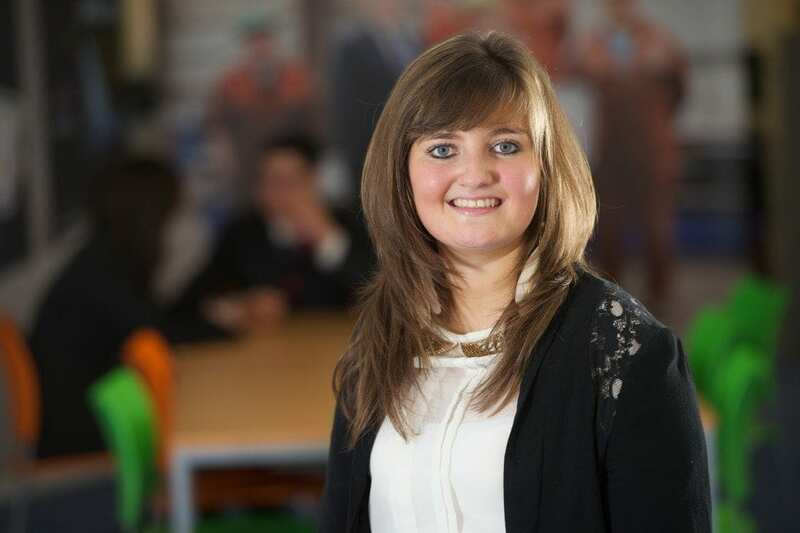 Angela completed her modern apprenticeship in 2012, before moving into a job with the council’s youth employment team. And the event could be a big celebration for the area, with two other individuals and two companies from Renfrewshire also nominated. The companies are Cairellot Nursery of Bishopton (SME Employer category) and Scottish Leather Group of Bridge of Weir (Large Employer). The individuals are Sean McBride, from Renfrew, and Neil Stewart of Bishopton. Both are on the shortlist for the Apprentice of the Year – Technical and Professional award. The awards are run by Skills Development Scotland and will take place on 13 November at Glasgow Science Centre. Other good news is that another council apprentice, Ryan Finnigan, has been named as a finalist in the Candidate of the Year category of the SQA Star Awards 2013. Councillor Roy Glen, Convener of Renfrewshire Council’s Economy and Jobs Policy Board, said: “These nominations are testament to the quality of the council’s modern apprentice scheme, which has earned itself a good reputation over the years. “I would like to offer my congratulations to all involved in the scheme, and to Angela and Ryan – who have been shinings example to other apprentices. “It is also great to see so many other Renfrewshire companies and individuals make it on the shortlist for the Modern Apprenticeship Awards. “Several of the firms involved have worked closely with the council through our Invest in Renfrewshire programme, which aims to boost the local economy and tackle youth unemployment. A modern apprenticeship allows a young person aged between 16 and 19 to pick up on-the-job experience while studying for a vocational qualification. Renfrewshire Council offers modern apprenticeships in both office and craft-based environments, covering disciplines such as construction, horticulture, vehicle maintenance and many more. For more info about the scheme, visit the council’s website or call 0141 618 7277. The council recently agreed to make available an extra £200,000 to create 40 new apprenticeships through the Invest in Renfrewshire programme.